You are invited to our BRING YOUR OWN BEAMER event in the spirit or doing it for yourself. Started by visual artist Rafael Rozedaal, BYOB is an international movement of DIY one-night-exhibitions where artists collaborate on site to create a moving image performance. BYOB events have been held in over 40 international cities. 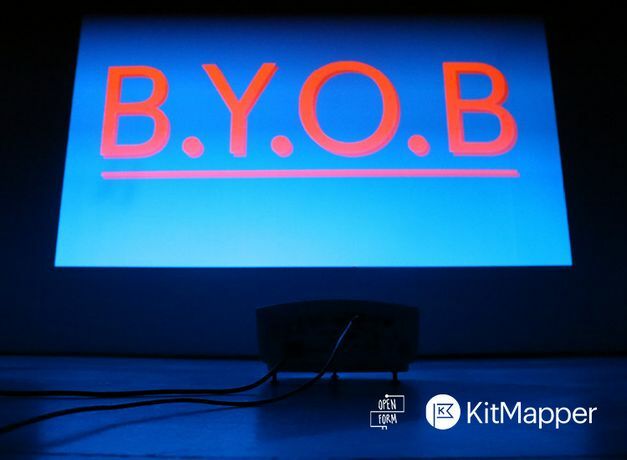 Hosted by KitMapper and Open Form, this iteration of BYOB will bring together more than 20 artists and filmmakers to create a collaborative night of moving image work. Spaces are limited so to register interest in showing your work in advance, please email byob@kitmapper.com. Event date and time: 14th December at 6.30-9.30pm. Location: 76 -89 Ascot Road SE1 3AW.